Industrial processes produce a large amount of pollutants in various forms many of which are toxic or explosive. Now, with regulations becoming increasingly stringent, reducing production-related pollution is an environmental and legal must-have. AAF International manufactures complete systems, from dust collection to clean air outlet transition. AAF works very closely with customers to supply air filtration systems that meet their specific needs so as to comply with the strictest environmental regulations and facilitate their processes. 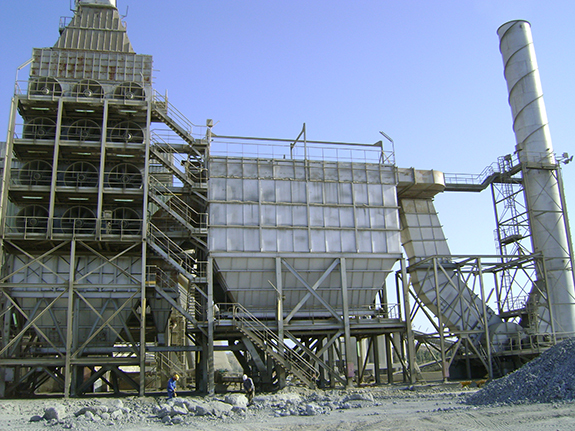 The company recently supplied a dust collection system to help its client to protect its employees and belt conveyors from fine particles emitted during phosphate transportation from storage areas to ship loading areas. The process starts by sending ground phosphate rock from the mines to recovery units to separate sand and clay and to remove impurities. Belt conveyors carry phosphate from one process to the next. The phosphate is stocked in four storage facilities then routed to transfer towers via belt conveyors, from there it is dispatched to be loaded onto ships (2000 tph). AAF’s custom designed clean air solution consisted of 16 FabriPulse Fusion FPF 12-176 baghouse filters. These dust collectors were installed to capture dust at transfer points and chutes during phosphate spill to trippers and its discharge on belt conveyors. 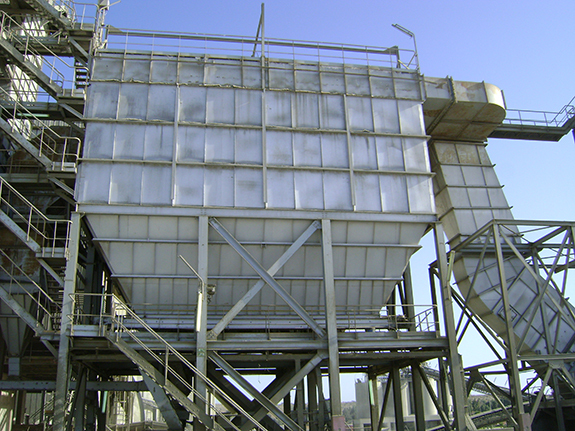 Another case study of a solution offered by AAF to one of its clients is in the sulphuric acid field, the world's most widely used chemical. This compound is an essential intermediate many processes in the chemical like phosphate fertilizer production. The process starts burning liquid sulfur to obtain sulfur dioxide (SO2), which is subsequently converted into SO3. Sulfuric acid is obtained by the absorption of SO3 into H2SO4. AAF tailor-made clean air solution consisted of a two-stage static housing: first stage was composed of louvers and pre-filters; the second stage was made of DriPak F5 pocket filters as final filters. The filter housing captures dust from outdoor air, the filtered air is then dried with concentrated sulfuric acid via a counter-current flow in the drying tower to remove water vapour. Indeed major changes were made in the sulfuric acid process to maximise energy recovery and use heat to generate high-pressure steam or electricity. This solution has enabled the plant to operate at its peak performance and to maximise the production output. AAF International’s product portfolio also includes a wide range of filters and replacement parts that ensure superior filtration efficiency (cartridges filters, bag filters) and field services from maintenance, refits and upgrades.